The summer weather is what most people long for and represents the end of the torturous winter cold. However, while summer may present days filled with fun and water, the nights might be torturous for those who do not have proper bedding. The summer heat makes the nights uncomfortable, and there is need to make arrangements that will ensure comfort. In many cases, people choose to invest in air conditioners, fans and large open windows but none of these may provide the kind of comfort that good bedding provides. As the seasons change, it is important to change bed sheets to suit the changing weather conditions. Silk sheets not only ensure a comfortable and cool night; they also provide a luxurious feel to the bed. Silk sheets ensure that one gets a comfortable night’s sleep even on those very hot summer nights. The lightweight nature of silk makes silk sheets appropriate for summer nights. With the summer heat, it is not necessary to have heavy weight blankets in bed. The very light silk bed sheets are adequate to keep the body cool ensuring a comfortable night’s sleep. Silk sheets are also extremely soft, offering a lavish feel to the skin. Silk bed sheets offer thermal a balance ensuring that one is neither too hot nor too cold. It is common to find people having problems with their bed sheets because they are too warm. When one tries to use lesser sheets, it gets too cold resulting in uncomfortable summer nights. However, silk bed sheets adapt to the temperatures to offer a perfect balance. During the hot summer nights, silk bed sheets will keep the body cool avoiding the very uncomfortable night sweats. It is also important to note the breathability characteristic of silk. With the free flow of air in silk sheets, one is always assured of a comfortable night’s sleep. In addition, silk bed sheets keep the body dry in case of sweating. Some materials such as cotton absorb moisture but end up feeling damp making them uncomfortable for summer. However, with the lightweight nature of silk, the dampness dries up fast making them not only comfortable but dry at all times. Silk is the smoothest material for bed sheets. This is an important characteristic as it ensures there is no itch associated with silk bedding. When using silk bed sheets, one is guaranteed to have a good night’s sleep as the bed sheets are soft and smooth to the skin. People who have sensitive skin should particularly use silk sheets as they do not scratch or irritate the skin in any way. Unlike other materials that absorb body and hair oils, silk bed sheets will keep the body and hair oiled. Many people complain of waking up with dry skin as their bedding absorb all the oil they had applied on their body or hair. However, with silk bed sheets, one will wake up with well moisturized skin and clean bed sheets. Silk is a natural fiber that is highly resistant to allergens. The heat during summer nights may result in allergic reactions between the body and bedding. It is therefore important to use proper bedding that will not create an allergic reaction to the skin. Skin is perfect for this as it does not irritate the skin. In addition, when it comes into contact with sweat, there are no allergic reactions. The amino acids contained in silk are important in keeping the skin healthy. This makes silk a perfect choice for comfortable sleep during the summer. There are numerous types of bed sheets available in the market. Bed sheets also come in a range of fibers that people choose depending on their taste. However, none of these fabrics is as smooth as silk. In addition, none of the other fabrics offers a thermal balance between hot and cold. 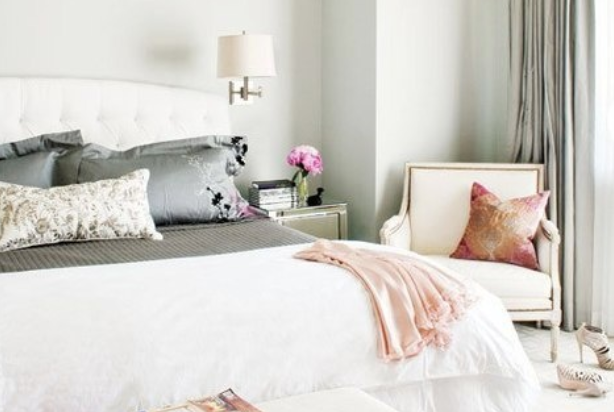 To ensure a comfortable sleep during the summer, silk bed sheets are the best choice. They are breathable and keep the skin dry at all times. Moreover, silk sheets do not irritate the skin and are therefore perfect for people with sensitive skin. As the weather gets hotter, silk sheets will ensure that the body remains cool all through the night, ensuring a comfortable and restful night’s sleep. If you know me then you'd probably know that I am such a nail polish junkie. I love collecting them and I don't think I have talked about it that much. It's constantly growing and I want to think I don't have as much yet. Just recently I bought quite a few to add in to my collection and my favorite so far are the Estee Lauders. 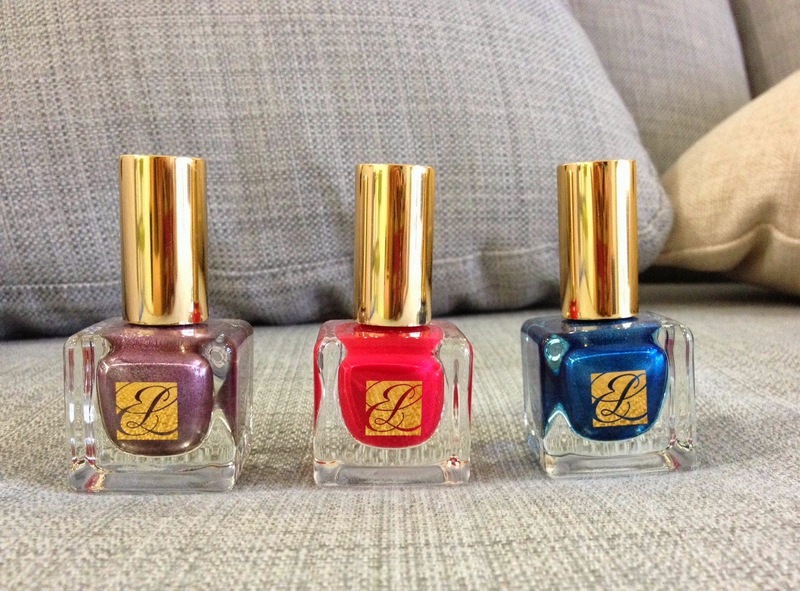 I have two metallics from Fall 2013 collection and one from their Red Haute collection. The metallics are all semi-matte finish. I'm not exactly sure how I feel about wearing mattes so I tend finish it off with a top coat.